It’s a Capital Market this week! Beat the Heat with Summer J! Breaking news: We have a heat wave barreling towards us this weekend. Temps are gonna hit 99 degrees, but Summer J Artisan Ice Pops is coming to the market to save the day! These are freshly made, small batch, artisanal popsicles contain real fruit and are made with no refined sugar, preservatives, or artificial flavors. Summer J popsicles also use locally sourced ingredients when available. Queon is excited to come to Media to help everyone get through this first really hot day of summer. Come POP with Summer J! Register to Vote at the Market! Recently move? Change your name? Just turn 18? Make sure you are eligible to vote in the next election and stop by the Voter Registration Table at the Market this Sunday! This is a non-partisan, unaffiliated group of volunteers. Have you checked out Gail’s Egg Farm and Midnite Mushrooms yet this year? Featuring many gorgeous varieties of mushrooms, delicious mushroom jerky, and farm fresh eggs, they’re a real family farm from Vineland, NJ. Gail shared this photo with us of her son and their first lamb, Sweetie Pie. Who could resist such sweet faces?! ​This week we will welcome singer-songwriter-guitarist Dave Fiebert to the Market! He performs favorites from Woody Guthrie to John Lennon, Bob Dylan to Blind Faith. He also brings a generous helping of originals played in the Americana tradition. Welcome Dave and see him at the State Street end of the Market! Neil’s Sharpening Returns to the Market! 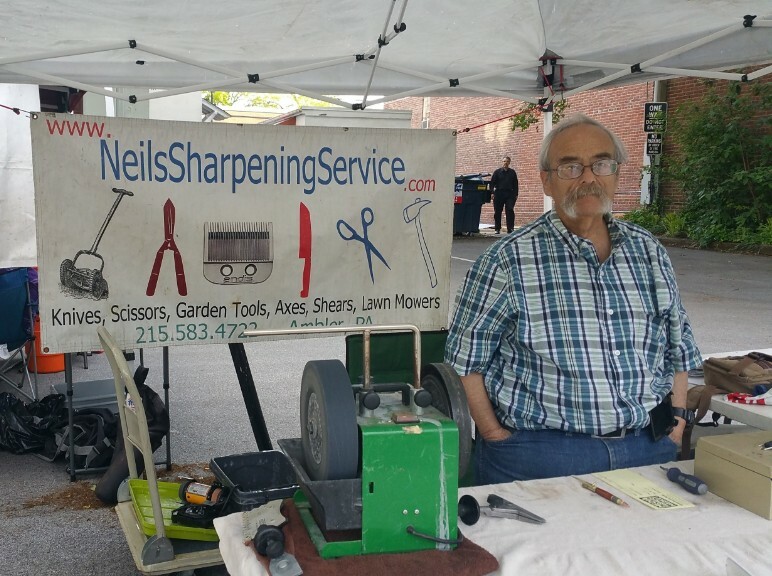 Neil’s Sharpening Service will be at the Market tomorrow! Bring your knives, lawnmower blades, garden tools, clipper blades, scissors, and more to the Market to have them sharpened while you shop! Neil will be at the Market every fourth Sunday throughout the season. Waffatopia will have their summer flavor Peachy Keen, plus Lemon Blueberry and all of your other favorites. Media and Swarthmore Electronics Recycling and Shredding Event: Saturday, July 28th, 9am to 1pm, at Acme, 527 E. Baltimore Pike, Media Pa. Trucks will be on the Beatty Road side of the shopping center. E-Waste: Recycle almost anything with a plug for free! Old style TV’s and CRT Monitors do require a disposal fee. Shredding: Documents with sensitive information that need to be shredded, no CDs or DVDs. 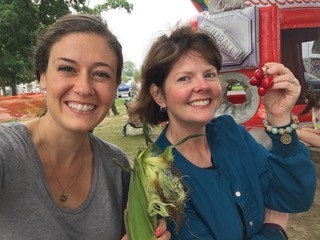 Participate in the Cornell University Farmers Market Survey: Across much of the United States, farmers’ markets have reported a decrease in consumer participation over the last couple of years, resulting in a decrease in farm sales and income. In an attempt to understand and reverse this slump, a multi-state study is being undertaken by Cornell University. Follow this link to participate in the survey. Celebrate Dad at the Market! This Sunday is Father’s Day! By shopping at the Market, you’re helping to support local fathers and family businesses, some that have been passed down from generation to generation. Not only are there great ingredients to make a fantastic Father’s Day dinner – think great pork from Pasture Song Farm, or sausage and salami from Maiale Deli, and fresh produce from Sharrah Orchards, Robin Hill Organics and Kneehigh Farm – or treat dad with some wine or cider from Stone & Key Cellars, chocolate from John & Kira’s, beer cheese from Wilson’s Curiously Good Foods, or coffee from Media Bean! ​ This week we will welcome singer-songwriter-guitarist Dave Fiebert to the Market! He performs favorites from Woody Guthrie to John Lennon, Bob Dylan to Blind Faith. He also brings a generous helping of originals played in the Americana tradition. Welcome Dave and see him at the State Street end of the Market! Seven Stones Gallery will have a table at the Market. If you’re not familiar with the local business, make sure to stop by and see all they have to offer! Wilson’s Curiously Good Foods is introducing a new mystery flavor of their delicious posset! Stop by their tent to sample and guess the new flavor! Wilson’s Curiously Good FoodVendors are subject to change without notice. Come to the Market side – we have cookies! Everyone loves a great cookie! 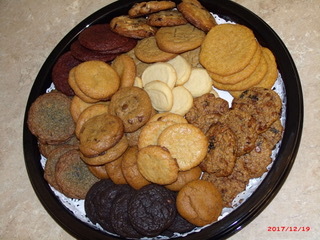 So stop by this week and meet new vendor Charmaine’s Cookie Jar! Featuring both old classics and new flavors, their cookies, bars, and cakes are made with all high quality, natural ingredients. There’s no artificial ingredients or preservatives, so you can really taste the love that goes into every bite. Find your new furry friend! Providence Animal Center will be joining us this week at the Market, and will have some adoptable furry pals for you to meet! Providence Animal Center (formerly known as the Delco SPCA), located at 555 Sandy Bank Road, is a lifesaving animal welfare organization that offers life‐affirming rescue, medical care, treatment, protection and placement of companion animals. In addition to rescue and adoption services, Providence Animal Center offers low-cost wellness and behavior services to all pet owners as well as humane investigations of owned pets in the community that may be neglected or abused. Stop by their table to meet some adorable adoptables, to learn more about their services or their current dog kennel building campaign! Waffatopia will have their summer flavor, Lemon Blueberry! Plus more of their caffeinated waffle, Caramel Waffachino, made with real cold brew coffee! Kneehigh Farm will have the last of this season’s green garlic, plus little gem lettuce, lots of radishes, beets, dandelion greens, kale, rainbow chard, and more! 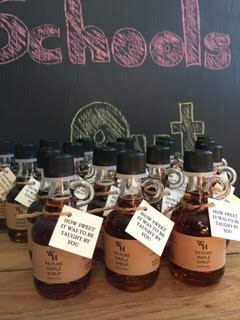 Whiskey Hollow will have teacher gifts, and gift sets perfect for Father’s Day! Come out to the Media Farmers Market! SNAP/WIC/Senior Check accepted at the Market! 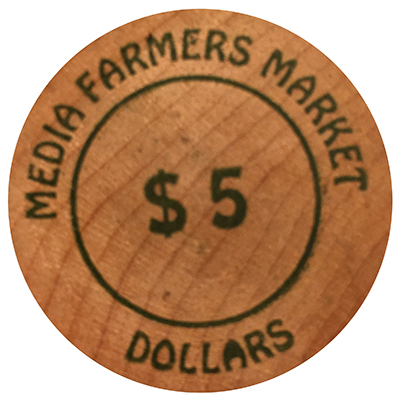 Did you know that you can use your SNAP/WIC/Senior checks at the Media Farmers Market? You can! These benefits can be used at vendors selling uncooked, unprepared foods. Sharrah Orchards, Kneehigh Farm, and Robin Hill Organics can all accept these benefits. 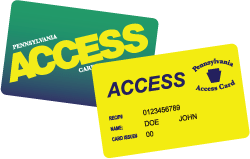 You cannot use them towards alcohol or any foods that are considered ready-to-eat. If you’re not sure if a potential purchase qualifies, please ask the vendor or any of the volunteers at the Manager’s Table. When using your benefits, please first stop by the Manager’s Tent and we will assist you in your purchase.We’re so glad to be able to provide this service to the community, we hope that it is another benefit to shopping at our Market! Turn in those old tokens! With the new season and new vendors, we are happy to share the good news that most vendors now accept credit/debit cards directly at their tables, making it easier for you to shop! However, this means that our iconic Market Tokens have become obsolete. If you still have tokens left from previous years, we will still honor them at the Manager’s Table. Vendors will no longer be accepting tokens, so please bring your remaining tokens to the Manger’s Table to redeem them before shopping! We are proud to partner with Farm to City, a Philadelphia-based business whose mission is to unite communities, families, and farmers year round through good locally grown food. Farm to City operates 13 farmers markets in Philadelphia and its suburbs.